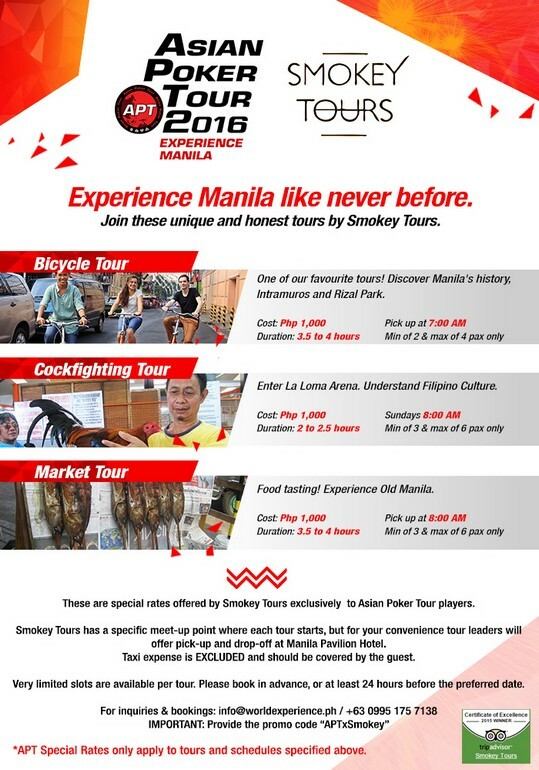 Asian Poker Tour partners with Smokey Tours to bring you a unique Manila experience you will never forget! All tours are guided by local Smokey Tours tour leaders, who are professionally trained and know the area. 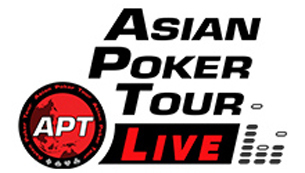 The fees below are special rates exclusive to APT players. Sign up now to experience Manila like never before! Slots per tour are very limited. Please book at least 24 hours in advance, or earlier to be able to secure a slot. These tours are very popular. What you will sign up for is not just a tour, but a unique and rich experience. Payments will be made directly to the tour guide before the beginning of the tour. Smokey Tours normally start and end in specific meet-up and drop-off points. However, for the convenience of the APT players, tour leaders will do pick-up and drop-off at the Manila Pavilion Hotel. Taxi expense is excluded and must be covered by the guest. The tours utilize mass transportation, if needed, and do not use private vehicles – this is part of the experience. Smokey Tours has been awarded with a Trip Advisor Certificate of Excellence in 2015, and currently ranks top one in Manila Tours on the said website. For inquires and bookings, email info@worldexperience.ph or text/call +63 0995 175 7138. IMPORTANT: Upon booking, please indicate or mention promo code “APTxSmokey” to avail of the exclusive rates, and to facilitate proper handling. Get ready to experience the exciting poker games and the rich-cultured city on your visit to Manila this May! It’s all about the experience! To know more about Smokey Tours, visit www.smokeytours.com.